The sandwich generation currently has increasing responsibilities at home which could be a cause for a decrease in productivity at the workplace. In fact, according to a 2013 research study conducted by Pew Research, they found that “Nearly half (47%) of adults in their 40s and 50s have a parent age 65 or older and are either raising a young child or financially supporting a grown child (age 18 or older)” (Pew Research 2013). This sandwich generation is currently working and because of their unique situation they understand the importance of long-term care insurance. Since this is such a large part of the employer population, long-term care insurance is a beneficial benefit to offer employees because their education process has already begun first hand. 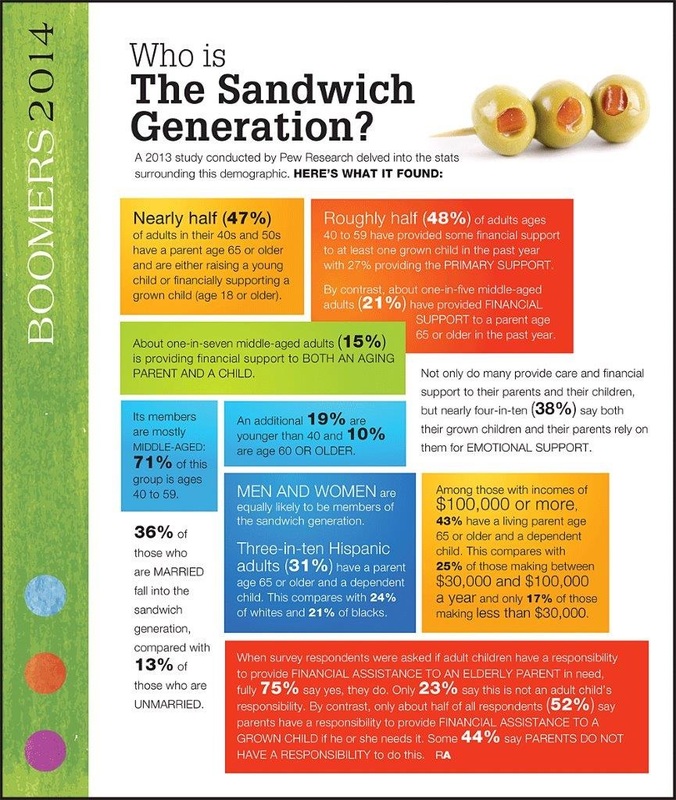 Pew Research put together and infographic with addtional information about the sandwich generation View the infographic.